It had been a rough week. I had been so busy with my job, working all night. The folks I work with were feeling the same… tired and exhausted, each of us working in close proximity to the other. The night sky lately had been just awesome. It was extremely clear and and every now and then I could see a falling star. Off in the distance I could hear the cry of a lone wolf. There was a gentle breeze in the air and I could smell the distant sea. An odor of freshness and purity. There were flowers blooming everywhere and their fragrance was almost overwhelming at times. Off in the distance I could see flashes of lightning from distant storms and I could see the clouds’ silvery tops illuminated against the night sky. There was no moon but rather a brilliant star which had appeared in recent days and was so bright it was almost blinding to look at. The heavens had turned into quite a spectacle. First this bright star and then such clarity in the night sky. I suppose all these things caused me to look more closely and see all of the wonders of gazing at the heavens. There were sheep all around me and they seemed to be rather uneasy as if they new something was about to happen. I just dismissed it as them being nervous from the distant lightning. The sound of the thunder would come rolling across the hills and answer back with an echo and this made my flock uneasy as well. It was such a beautiful night. I had just seen a brilliant falling star light up the sky and change from bright white to blue green. Suddenly there was a sound. We had all been sitting on the hillside. We stood up and gazed in amazement, each of us from our separate places. As we did we began to hurry toward each other. We rushed to the top of a hill and looked up, scarcely able to contain ourselves. I thought, “He is pleased. Wow, the God of the universe is pleased with men.” I could scarcely move as I watched them disappear into the heavens. I was stunned at what I had just seen. As I and my fellow shepherds raced down the mountain toward Bethlehem, my mind kept replaying over and over what I had just seen. I realized through all of this my flock of sheep had scarcely moved or made a noise. It was overwhelming as we burst into the small lighted room. There laying before us was the One the Angel had just spoken about, wrapped in clothes in a manger. I and my fellow shepherds told the parents what we had just witnessed. As we spoke I could scarcely take it in. Laying before me was the One whom I had always heard about. Countless stories had been told of His arrival by shepherds for hundreds of years. Just to think, laying there before me, was the King of Kings and the Lord of Lords. The Creator of the Universe. Then I realized, the One who would change the world……………… for all time ……………..had just arrived. It was way back in 1984 and I had just been hired to fly an old Beech King Air aircraft. It was an aircraft with lots of history. Old pilots who knew the airplane told of when LBJ himself flew in it when it was new. After a few weeks of on the job training, I was ecstatic to get to go to a week of training on the aircraft. This training would include many hours of simulator training, along with cockpit procedures training and hours and hours of classroom time followed by studying the books late into the night. The reason I was so excited about this particular training was that up to this point in my career I had paid for most all of my training. I had done this through various difficult jobs, many of which were on the business end of a shovel. While I was in this initial training on the Beech King Air, my aircraft was in a maintenance shop nearby going through some routine inspections and much needed maintenance. After completing this intensive training, I picked up my aircraft out of the maintenance shop and carefully preflighted it. One always gives an aircraft a thorough preflight especially when it has been in the maintenance shop. The takeoff and climb out were virtually non-eventful and my copilot and I were glad to be on our way home. We leveled off at nineteen thousand feet or flight level 190. All was well and the two jet powered Pratt and Whitney engines were slurping up kerosene in the cold, rarefied air. The air vent above our heads had been very cool up to this point when suddenly they began to blow warm air. I was not too concerned at first until the warm air became very hot. I reached for the checklist only to discover the checklist for this particular very old aircraft was extremely limited in abnormal and emergency procedures. Back in the early sixties when this aircraft was built, the manufacturer did not supply the pilot with an extensive book of “what to do when things go wrong”. By now things were getting very hot and I was sweating profusely. 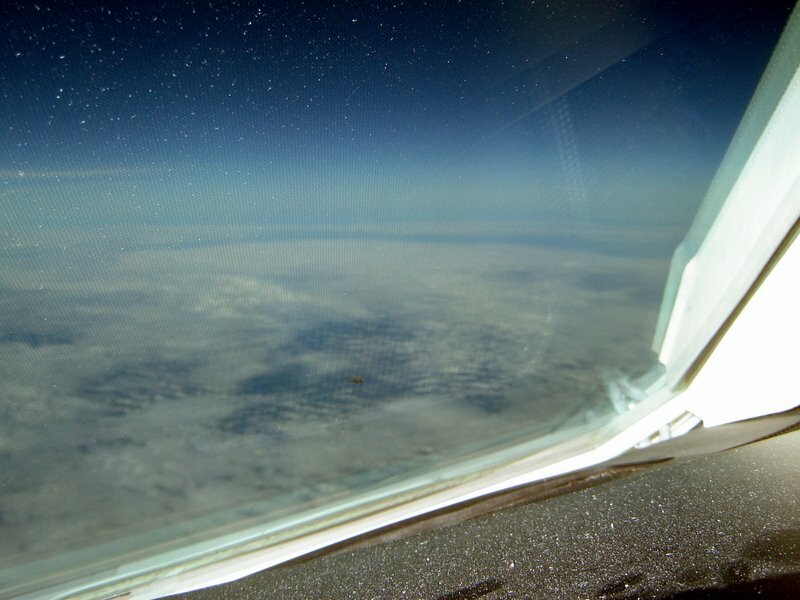 Smoke began to appear from under the instrument panel and I realized we were in a bad situation. I told my copilot to tell the air traffic control center we were descending out of flight level one nine zero with smoke in the cockpit. With no really good emergency checklist my mind recalled the drill I had rehearsed over and over in the simulator and I remembered what to do. We “dumped” the cabin, which means we depressurized the aircraft and turned off all the pressurization and bleed air switches which keeps the cabin warm and pressurized at high cold altitudes. In a split second the smoke left the aircraft but the cabin and cockpit were still very warm. A few minutes later I landed at a nearby airport with a large assembly of fire trucks escorting me to the ramp. When we are in a crisis situation do we go to the checklist of life, God’s Word? Do we study it in such a way that we believe our life depends on it? Have we drilled it into our minds with hours and hours of study? Can we recall His Word for help and guidance when we need it? God’s word is the compass for our lives. It rightly divides the word of truth and gives us the direction we need …….when we read it……..each and every day. Many years ago at a state prison just outside of Huntsville, Texas they were adding a new addition on to the prison. This was back before the days before we had over one hundred prisons. Matter of fact, Texas had just a handful at the time. Things were very different then, but guarding prisoners was much the same as today. At this particular prison they were constructing a new cell block. It was on the west side of the main prison. This particular prison had one nine foot high chain link fence with barbed wire on top. There was an immaculate yard that was constantly groomed. Located on and around the yard were beautiful flower beds with every kind of flower imaginable. These beds were perfectly maintained. Actually, all over the prison grounds were beautiful flower beds. They lined the roads and were even around the employee houses. Every so many yards along the giant link fence were towers or pickets as they were called in those days. In the pickets there was a guard who was heavily armed. His arsenal may consist of rifles, shotguns, pistols and even a machine gun. There were also gates. There was a front gate and a back gate in those days. At the gates people were screened for entrance and to exit. You would not want the wrong people going either way out of these gates, especially those dressed in white. You would not want someone from inside escaping into the free world as the prisoners called it. One day late in the afternoon as the sun was going down the guard who was high upon the picket was looking out across the beautiful green yard and he noticed a mockingbird. In his boredom he began to watch the bird maneuver around the prison yard. Suddenly the mockingbird did something unusual. He hopped upon what is known as a crayfish chimney. A crayfish chimney is simply a pile of dried mud that a crayfish has push up out of his hole after a heavy rain. The mockingbird stood upon the mud chimney for several seconds and then tilted his head sideways and looked down in the hole. The guard on the tower watched with great fascination as the bird would hop upon the mud chimney and look. He watched the bird perform this exercise for several minutes. Suddenly he began to wonder…….just what was this bird looking at? His curiosity got the best of him and he picked up the telephone and called a guard inside the prison. The guard quickly came out to see just what was so urgent that the man on the picket wanted to show him. The guard on the picket pointed out the mud chimney way across the yard and the mockingbird. He told him what the mockingbird’s peculiar behavior was and requested that he walk over and look down in the hole and see what the bird was looking at. The guard hesitated in disbelief at his request as if to say, “you have got to be kidding”, then preceeded with haste across the yard. Upon arriving at the small mud chimney he knelt down and looked. To his amazement he did not see the darkness that he fully expected. What he saw was a light. Yes, the men in white were tunneling out. They had chiseled through several inches of concrete floor into the earth below. They had set up lights and communications and all of the dirt had been carefully flushed down the commodes in the cell block. They were almost to the fence ………..just a few feet from freedom. A mockingbird had given their secret away. As these desperate men were just a few feet from the door to certain freedom I am reminded about true freedom. About a door and a way to which was not designed by human hands and was not constructed in secrecy. It is a portal wide enough that all men, women and children can go through and it has a simple key. Jesus said in Revelations 3:20 “Behold I stand at the door and knock; if anyone hears My voice and opens the door, I will come in to him, and will dine with him, and he with Me.” He will show you not only to the door to freedom, but eternal life. There are many people in the world that are trying to find the way to freedom. The next time you see someone trying to tunnel out, show them the door………….to Jesus. Many years ago, before the turn of the century, when I was an ambitious young pilot , I was offered a ride in a twin engine Beechcraft Barron. The 58P Baron was the Cadillac of small light twins. 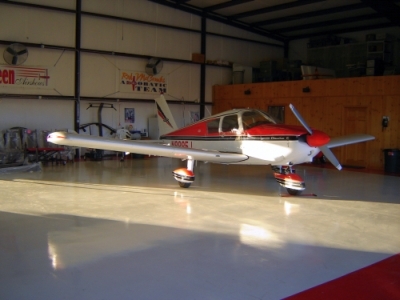 Although I was licensed to fly single engine aircraft, I had yet to make the step into a multi-engine airplane. This was an opportunity I had dreamed of. A local corporate pilot had offered to let me fly with him to Houston and back from the small town in East Texas where I lived. The trip was non eventful. He piloted the plane to Houston and back and I marveled at the complexity of the beautiful sleek craft. We broke out of the clouds at some four thousand feet and the small town where I lived was brilliantly illuminated in the darkness. At this point however, I began to realize something was amiss. Out of a sea of brilliant lights I noticed the one group of lights that were missing were the airport and runway lights. We circled overhead where the runway was supposed to be and could not find even the faintest light. 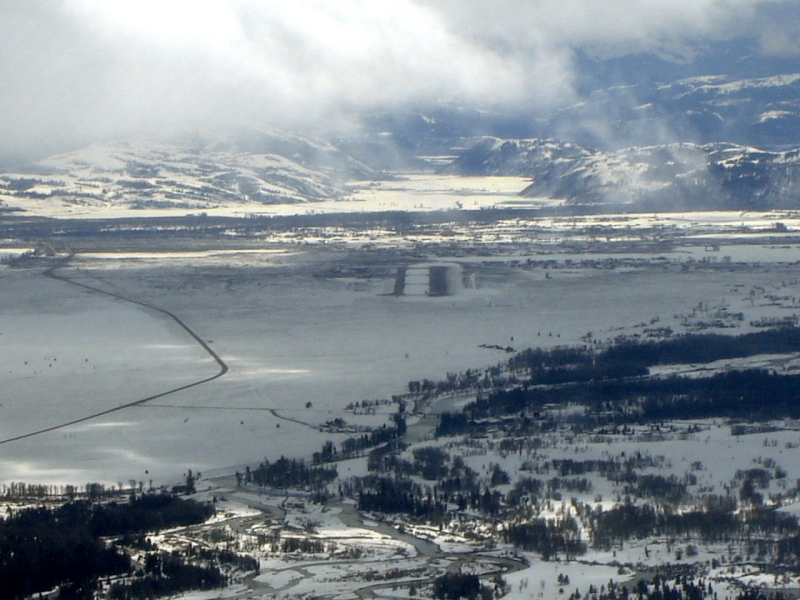 Because of the pilot’s long experience flying in and out of the airport he knew where he thought the runway was located. He decided to try a landing without the runway lights being turned on. A definite error in judgment to say the least. I began to make suggestions about calling the local weather station and having them contact the airport manager. He did not like my suggestions but rather decided to line up on the local truck stop which he knew to be just off the center line of the North- South runway. As we began our final descent, I voiced my opinion that we were too far to the west to be lining up on the runway. As our brilliant landing lights illuminated the western edge of the runway the Old Captain realized he had made a serious error in judgment. Now it would take his superior skill to correct his error. I remember looking out the windshield and seeing nothing that looked right. All I could see were trees and a taxiway. Suddenly the small aircraft banked sharply and landed on the runway. Our normal landing roll should have been somewhere around three thousand feet, but on this firm landing we rolled only three hundred feet before we were nearly stopped. 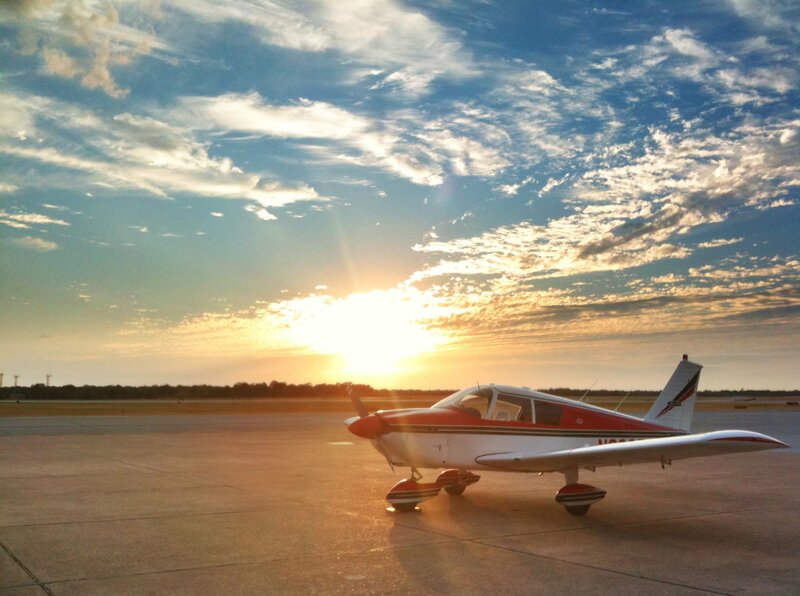 After we deplaned at the hanger that evening, the Old Captain who had often voiced to me his profound disbelief in God suddenly told me of his emphatic belief that God had saved both of us that evening. I knew God’s divine hand had stepped in and that I had encountered His perfect will in my life. As I reflect back on that evening, I remember a passage in God’s Word which has always been a comfort to me when circumstances seemed to be out of control in my life. 2 Kings Chapter 6:17 says, ” And Elisha prayed, and said, ‘ Lord, I pray thee, open his eyes, that he may see.’ And the Lord opened the eyes of the young man; and he saw: and, behold, the mountain was full of horses and chariots of fire round about Elisha.” Elisha’s servant stepped out of his tent and saw the enemy everywhere……they were surrounded. He thought his life was over until God opened his eyes so he could see that God’s army was much larger than the one which had surround them. As I look back over my life and remember things that have happened to me there is one thing which always stands out……….. God is always in control…….even when you are not….His army is always much larger than the one surrounding you. There is a story I heard long ago from the president of a large company which was going through some difficult times. It was a story of a man who had a famous hot dog stand. He sold tens of thousands of hot dogs every year. Although he had little or no formal education, he was very successful. One day his son came home. His son, unlike his father, was highly educated. He had a college degree from a great university. He told his father that the economy was bad and that things were bad. People were losing their jobs and things were very difficult. His father could not relate to what the son was talking about. The hot dog business was doing great. Sales were exceptional and profits were at a peak. The father began thinking about his son and all of his education. After all, his son had a college degree. He wanted to know more. The son then said, ” Dad you need to improve your business.” His dad asked, “How?” His son said, “Well, you do not need to sell such high quality hot dogs when a cheaper version would do.” His dad thought a moment and realized his son was educated and he could make even more money than he was already making. He decided to follow his son’s advice. So the son went back to the city and the dad went back to selling hot dogs. At first, the hot dog business was as good as usual. The owner of the hot dog stand did not even notice the tiny trickle of customers who began to disappear. They could tell the meat was not the same and the dogs just did not taste as good. The dad even called the son and surprised him with congratulations of his wisdom. After all, he was making so much more money now than he ever was. His son then mentioned maybe he did not need to use the expensive relish or the highest quality of cheese for his customers. The dad thought, my son is college educated and so smart, certainly this must be correct. So the next week he changed his order from his supplier to the cheaper cheese and relish. He was so happy his business would prosper even more. It was about another two weeks when the owner of the hot dog stand noticed the lunch crowd was a little light but he decided maybe everyone was busy just doing something else. The following week, though, he began to wonder as fewer and fewer customers seemed to come back to have lunch. He began to see how right his son was about the economy. He called and told his son. The son said to him, ” Dad this is what I have been trying to tell you. Times are bad and business is bad. I see it in the city where I live nearly every day.” The dad hung his head and thought, my son is so smart with all of the education he has why did I not see this sooner. A few weeks later the old man, tired and defeated decided to close his hot dog stand. Today in America we are bombarded with the news that things are bad. Nothing can take the place of good hard work and good quality products. Our Christian heritage plus hard work and quality is what has made America great. Jeremiah Chapter 29:11 says, “I know the plans I have for you, declares the Lord, plans to prosper you and not to harm you, plans to give you hope and a future.” Remember, who is in charge. He has big plans for you to prosper. He has big plans for your future. The Creator of the universe has a plan for you to prosper, have hope and a future. The One who walked on water, calmed the storm, parted the Red Sea, spoke the universe into existence has a plan for you, to prosper. Several years ago I was in Hawaii on what is known as the Big Island. On the west side of the the Island of Hawaii is an area known as Kona. I met a man there while I was walking along the sidewalk and spoke to him. Later I saw him again and said hello and still again we crossed paths, this time at a small restaurant. While I was standing in a long line ordering lunch, I turned around and there he was. After the initial greetings, I learned he was from Canada. He asked me if I was a Christian and then showed me the cuts and bruises on his hands. Cuts and bruises from practicing his trade. He was a carpenter and he was there as a Christian volunteer building a seminary. He was eighty-six years old. E.V. Hill once said, ” A man’s life is like a baseball game…….you have to get to first base…..you have to become a Christian…you have to be saved.. But after you get to first base you do not want to stop there. You want to continue on down to second . This is when you become a disciple of Christ…..this is the inward journey. On your trip down to second, you learn God’s Word and develop a strong spiritual foundation. You learn not only to walk with God, but to talk with Him as well. After you arrive at second base you do not stop there….you continue on down to third. This is where you begin the outward journey. You disciple others. You become a missionary. You tell others about Christ and His plan of salvation.. Finally, after rounding third, you go home. Are you experiencing the outward living of the inliving Christ today? What base are you on? Many years ago I flew an aircraft called a King Air. It was a multi-million dollar turbo-prop aircraft that cruised about 320 miles per hour. It was not a very fast airplane in relation to the jets of today but it could really climb especially at the lower altitudes. Every day I would fly this turbo-prop or prop jet as it was known to various cities across the United States. I would take off from Dallas and climb up to 18,000 feet, sometimes I would go higher. One thing that often determined how high I went was how smooth the air was. If I was going to climb up to 21,000 feet and suddenly it got really rough and bumpy I would never go higher, but rather I would descend back down to 19,000 feet where the air was smooth. A big revelation happened when I started flying jets. I learned about the giant river of air that flows above the earth called the Jet Stream. The Jet Stream is literally a river of air that flows usually from west to east, but not always. The air in it flows anywhere from fifty miles per hour to two hundred and fifty miles per hour. Before you enter the Jet Stream, though, there is an area that is sometimes very turbulent below, above or beside it. When I flew the King Air I would get into this turbulent air and go back down. But in a jet I enter the turbulent air and…….raise my nose …….and aim higher. This does two things: first, it slows the aircraft down where I am not going so fast which equals a smoother ride and secondly, it causes the aircraft to climb faster and I enter into the core of the river of air where it is smooth. I pass through the boundary layer of turbulent air into the smooth racing river of wind. As I apply this to my walk with the Lord I can see where oftentimes God was calling me to a closer walk with Him, but when things got difficult or the road of life got bumpy it was easier to stay where I was than to go higher. I was satisfied and complacent with where I was spiritually. God has called each of us higher. If years ago I would have had known what I know now about the Jet Stream I would have gone higher and further than I had ever dreamed possible and I would have arrived at my destination hours earlier. There would have been fewer stops I would have had to make if I would have just looked up and climbed a little higher and not been discouraged by the bumps. Is there a place or plateau in your life where God continues to challenge you to ascend even higher? A higher spiritual plane perhaps? Has God called you higher? Are you just bumping the bottom of the Jet Stream of your spiritual life? Perhaps the songwriter said it best………”Lord lift me up and let me stand, on heaven’s table land. A higher plain than I have found…..Lord plant my feet on higher ground.” You know…..sometimes our attitude determines our altitude in life of not only how high we go but how far as well. God says, “Come up here”… As I am out flying this week ….in the Jet Steam ……I will be thinking about you and praying for you………..God bless. A few days ago I was flying from the West coast of the United States to a city in the midwest. I was high above the clouds at forty one thousand feet cruising in the smooth rarefied air. When I came to the Rocky Mountains, it started getting rough and bumpy. I was in the jet stream, but because of the wind flowing over the mountains the air is being deflected up it forms turbulence. It can even form a giant wave of air. To pilots this is commonly known as a mountain wave and one can often see the presence of it in the form a lens shaped cloud. 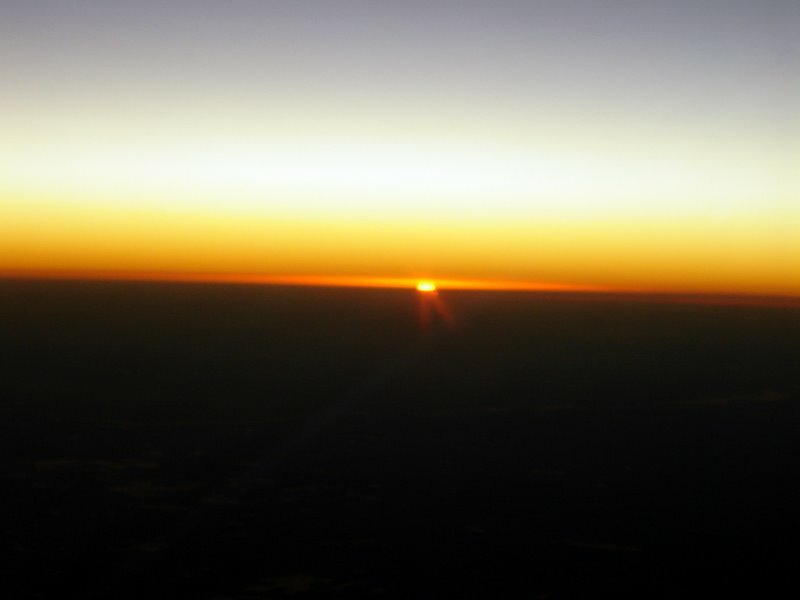 As I traveled east past the Rockies over the plains, the air became smooth once again. Now I was very comfortable. I sat back and relaxed and poured myself a cup of coffee. As I looked out the window, I could see small thunderstorms beginning to build out in front of me and to my right. I was amazed at how quickly they grew. They were explosive in their very nature as they formed. What was very small one minute was a fully developed storm the next, progressing through the atmosphere at an alarming rate. They would rise; a churning mass of frozen water colliding with the tropopause and flattening out into an anvil shape. As I was high in the smooth air racing with the wind, I began to think of how God often protects me from these storms and from the storms of life. So often we can be at total peace and a big storm can come up in our lives, just as it did the day the disciples were out in the boat when they saw Jesus……..Suddenly the “Peace Speaker” spoke and the storm was stilled. So often I fly around and through bad weather…but I have learned that the same God who calms the storm also said ….fear not, for I am with you………yes….through the storm. As a pilot I have as one of my favorite scriptures Psalms 23. The Psalmist says that God leads me besides “still” waters. Perhaps the most comfort comes from the Psalmist who said it best in Psalms 37: 23 & 24….The steps of a man are established by the Lord; and He delights in his way. When he falls, he shall not be hurled head-long; Because the Lord is the One who holds his hand. Phillipians 4:11 says …….b for I have learned to be content in whatever circumstances I am. Have you allowed God to get in your boat this week and “still the waters”? He is there waiting…..an saying……..fear not! Let the “Peace Speaker” …..speak to the storms in your life today, he speaks to mine every week in more ways than one. Many years ago when I was listening to Christian radio I heard a song. I cannot remember the title of it or just who wrote it but I will always remember what it was about. It told a story about an auction and certain items that were being auctioned off. One of the items being sold was a very old violin. People had obviously been allowed to look at it and the consensus among those who were there, especially the auctioneer, was that it wasn’t worth very much. As it was the last item placed upon the auction block, the bidding started at simply one dollar. Then it rose to two and then finally three. Suddenly, an old man came forward and to everyone’s amazement he picked up the old worn musical instrument and placed it beneath his chin. With the bow in his hand he then played a beautiful melody like one that would be nothing less than angelic. The auctioneer then turned and changed the bidding price to begin again at one thousand dollars, then it went to two and then it jumped to three………..! The violin only became valuable after it was touched by the master’s hand. I can remember twenty-one years ago learning to fly an old DC-3. It was a beautiful old airplane built in 1939 and was actually the only C-41A every built before it was reclassified as a DC-3. This particular airplane had giant Pratt and Whitney engines with some twenty-seven hundred horses between the two of them and a ninety-six foot wingspan. A DC-3 was no easy plane to learn to fly. It was not near as sophisticated as aircraft of today, and it had terrible ground handling qualities. During a takeoff or landing you really had to be on your toes. It was unforgiving of any miscalculation of the wind direction or a pilot’s inability. Coming from flying small Cessnas to something that placed my head sixteen feet above the ground while sitting in the pilot seat was a large change in itself, not to mention moving the large heavy control surfaces. I can remember one gusty, windy day landing at Addison airport in Dallas, Texas. Everything on the approach to landing was normal until just before touchdown. The strong crosswind began to move the nose of the airplane off my course straight down the runway. I under corrected…… and what was bad ……just got worse. The view out the co-pilot’s cockpit window now was not that of a long runway but of wide open spaces and cotton fields. Just as quickly as I had made a bad thing worse the old captain with some sixteen thousand hours under his belt instantly took the controls from me and in a blink of an eye total control was restored. I continued on to make a successful landing. In life I have the opportunity every day to choose and either try and control my life or let go and let God. Jeremiah the prophet said in Jeremiah 29:11-13, “For I know the plans that I have for you, declares the Lord, “plans for welfare and not for calamity to give you a future and a hope. Then you will call upon Me and come and pray to Me, and I will listen to you. And you will seek Me and find Me, when you search for Me with all your heart.” Has your life been “touched by the Master’s hand?” Is God at the controls of your life? Then let go! I can remember when I got my first flying job many years ago. It was flying a DC-3. There are some things that you always remember. Where you were when Kennedy was shot, when your first child was born. 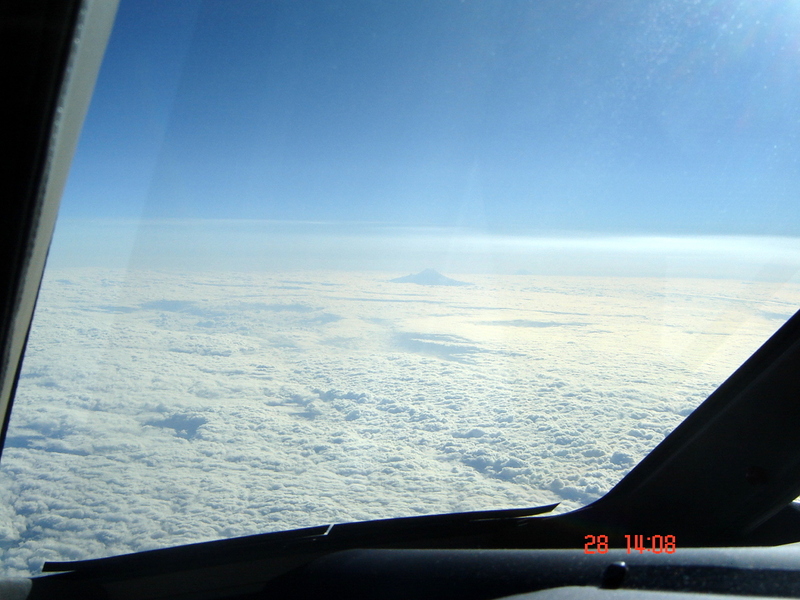 For me it was this day, flying an old DC-3. I will always remember taking off out of Huntsville, Texas. The giant old Pratt and Whitney engines roaring to life as the airplane slipped out of the earth’s gravity and lumbered into the sky. I still remember the old, gray-haired pilot I was sitting next to when he said something was wrong with the left engine. 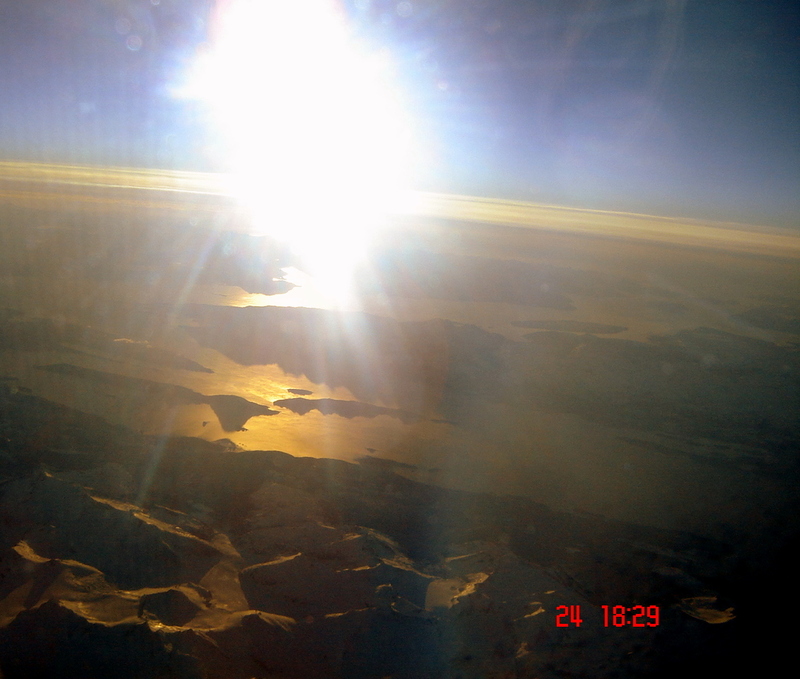 We were four thousand feet at the time. A very low altitude compared to the altitudes I fly today. 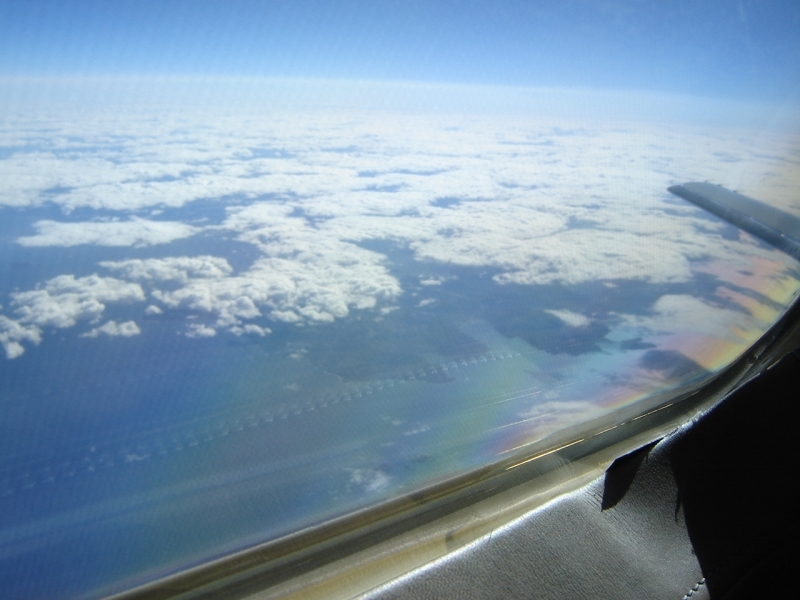 We were between Huntsville and Dallas flying along at a mere one hundred and sixty knots. At first I was not really concerned until I asked the old captain if we were going to be “ok.” He turned and said, ” I hope so” as he pointed out the ever-increasing temperature on the left engine. The captain reiterated there was something wrong with the left engine, but beyond the increased temperature on the cylinder head temperature gauge I could not tell. He then said, “Can you hear that noise?” I could not. I listened ever so intently and yet could not hear what he was hearing. He would say, “Don’t you hear that?” and I could not hear anything except the roar of some twenty-seven hundred horses thundering outside my window. I sat with my adrenaline running, watching and listening for what the old man was hearing. Suddenly he slid open the large left side window. The wind noise was deafening and dust was a swirl in the cockpit. He said, “Can’t you hear that?” Then suddenly, even with all the noise of the rushing wind and that giant engine outside the open window along with the three silver propellers cutting the wind, I could hear it. It was just a soft whisper, but unbelievably I could hear it. It was a “chew, chew, chew” sound. The sound of a hole in the top of the cylinder on the left engine, usually known as the number one engine. There was raw fire coming out of the hole licking the cowling that surrounds and protects the engine. We had an emergency and we had to shut the engine down. We continued on to Dallas where fortunately we landed safely. There is a story in God’s Word about the prophet Elijah and how he was seeking God upon Mt. Horeb, the mountain of God. In 1 Kings 19:11 & 12 the Lord said, ” Go and stand on the mountain in the presence of the Lord, for the Lord is about to pass by.” Then a great and powerful wind tore the mountains apart and shattered the rocks before the Lord, …….but the Lord was not in the wind. After the wind there was an earthquake……….but the Lord was not in the earthquake. After the earthquake came a fire ………….but the Lord was not in the fire. And after the fire came …………a gentle whisper. Today when you go to God’s quiet place, the place where you meet God and talk to Him, what do you hear? Do you come before Him with fear and trembling? Do you listen so intently that you can hear the …still… small …voice of God and know that it is Him? Is the noise of the world so loud that you just cannot seem to hear? Are you saying to God…..I just can’t hear? Is He whispering back to you……..listen my child…… listen? The next time you cannot hear the whisper of God’s voice……….maybe you need to just……….open the window.